All Beyer Drivelines use OEM part number U-Joints from manufacturers like BMW, Lobro, Hardy Spicer and GMB. We never use domestic U-Joins that aren't specified for the application. There are no advantages to greasable domestic U-Joints. Let's do the math. With a service interval on 10,000 miles and the labor time averaging 1.5 hours to drop the exhaust system and heat shields to access the greasble U-Joint, your customer would have paid for a new driveshaft in only 60,000 miles. It doesn't make economical sense. We precision machine the yokes for outside snap rings which allows for U-Joint replacement. This is preferred over cheaper construction methods like welding or staking which don't allow for replacement. Beyer Driveline replaces all bushings, boots and cushions with new parts. Beyer Drivelines are a precision component designed for precision machines. We ensure the the U-Joints are perfectly centered, then the assembly is dynamically balances on a precision Axiline Balancer. Our driveshafts require less weights to balance. All Beyer Drivelines come with a 12 month or 12,000 mile warranty. You can install Beyer Drivelines with confidence, knowing you'll have a happy customer. Most popular part numbers are available for immediate shipping on an exchange basis. Shafts with seized or worn U-Joins and worn our center support bearings are OK. Driveshafts with bent or broken tubes, damaged flanges, yokes, welded or domestic U-Joins have a diminished core value. You can offer your customer a precision, high quality product at a substantial savings over new, while retaining a healthy profit margin for your shop. Many times the customer savings will help you sell Beyer Drivelines. You can order your Beyer Driveline by calling 1-800-824-0809. You can fax your order to 1-480-961-5974 or you can order online through our website. Click here to order online. Same day shipping is available. Beyer Driveline sells to repair shops, parts stores and dealers only. 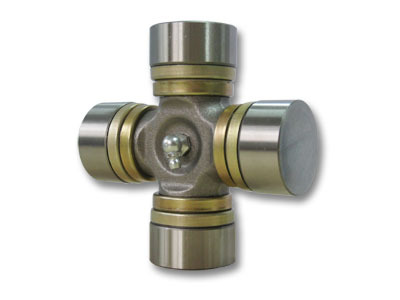 Our U-Joints a superior by design. While other manufacturers weaken the flange by machining away excess metal, we don't. The structural integrity of a Beyer Driveline U-Joint is second to none. Our flanges are solid not hollow, further improving the structural strength and durability of a Beyer Driveline U-Joint. A drive shaft is a component that takes the power and torque a vehicle generates and translates them into motion. With their tubular design, drive shafts use a metal casing to protect a metal cylinder that spins at the rate and rhythm of the engine's output. Most drive shafts see several turns and incredibly high frequencies. Beyer Driveline drive shafts are designed differently. We decrease the reliance on grease, and decrease the spin rate. This adds tremendous longevity to your drive shaft. In most rear-wheel drive (RWD), front-engine vehicles there's a system called Hotchkiss drive. Hotchkiss drive utilizes a drive shaft the length or the vehicle, a differential connected by u-joints at each end, and direct's the vehicle's engine torque to the rear powered wheels. Two half-shafts (short metal tubes) are the connection between the wheels and the differential. The Hotchkiss design adds flexibility to Beyer Driveline drive shafts. With front-wheel drive (FWD) vehicles, each front wheel gets their own drive shaft - Yes, they're that special - originating from the vehicle's transmission. 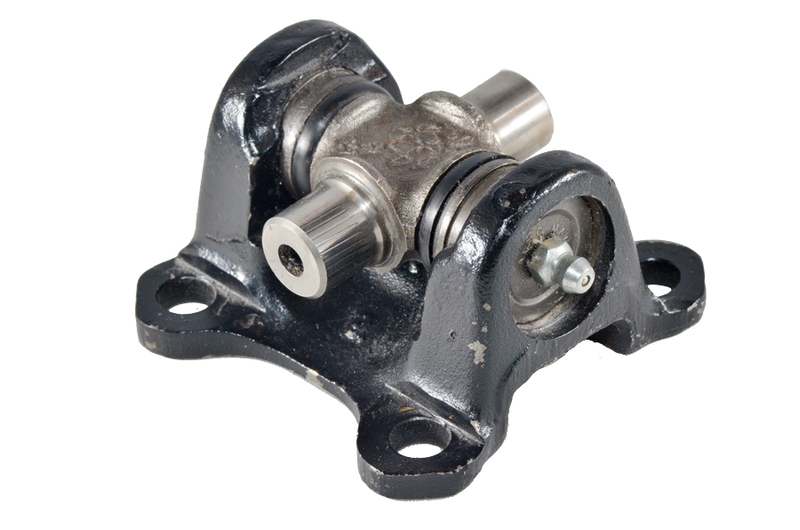 Unlike RWD vehicles that utilize u-joints, FWD vehicles utilize CV, or constant-velocity joints that allow for the communication of the wheels. CV joints require less maintenance and allow wheels to serve a duel purpose: be responsible for both steering and receiving power. When it comes to all-wheel drive (AWD) vehicles the drive shaft assembly varies. Most heavier vehicles like SUVs (sports-utility vehicles) and trucks utilize the afore mentioned RWD-style drive shaft assembly, whereas the smaller, lighter AWD vehicles like wagons utilize the FWD-style drive shaft assembly.